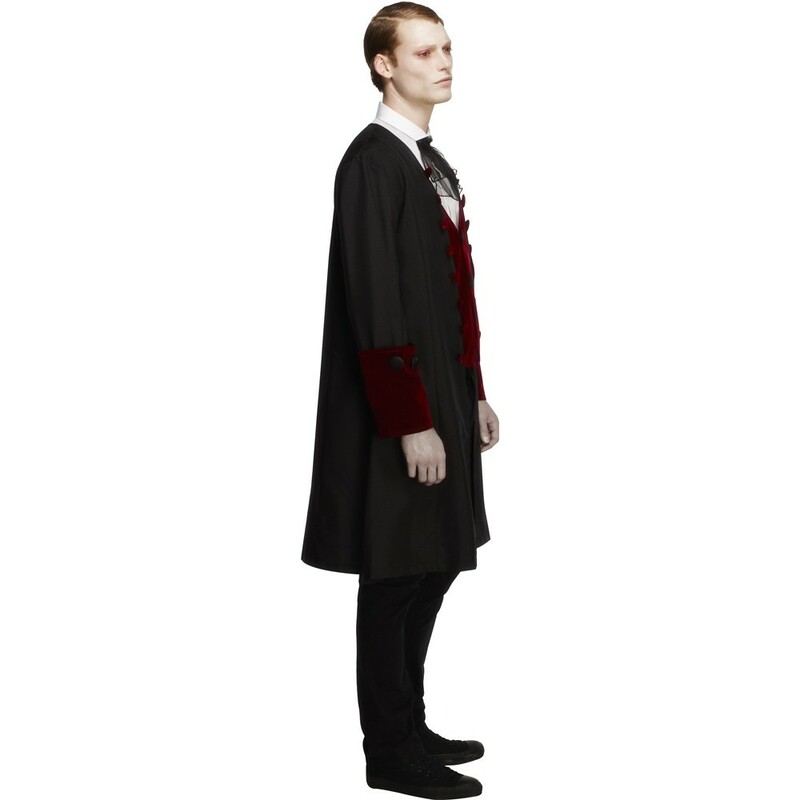 A Mens Fever Gothic Vampire Costume including a Coat, Top with attached Mock Waistcoat, and Cravat – Ideal for Halloween, or any fancy dress occasion! Transform yourself with this Mens Fever Gothic Vampire Costume and experience the bloodlust of Halloween! 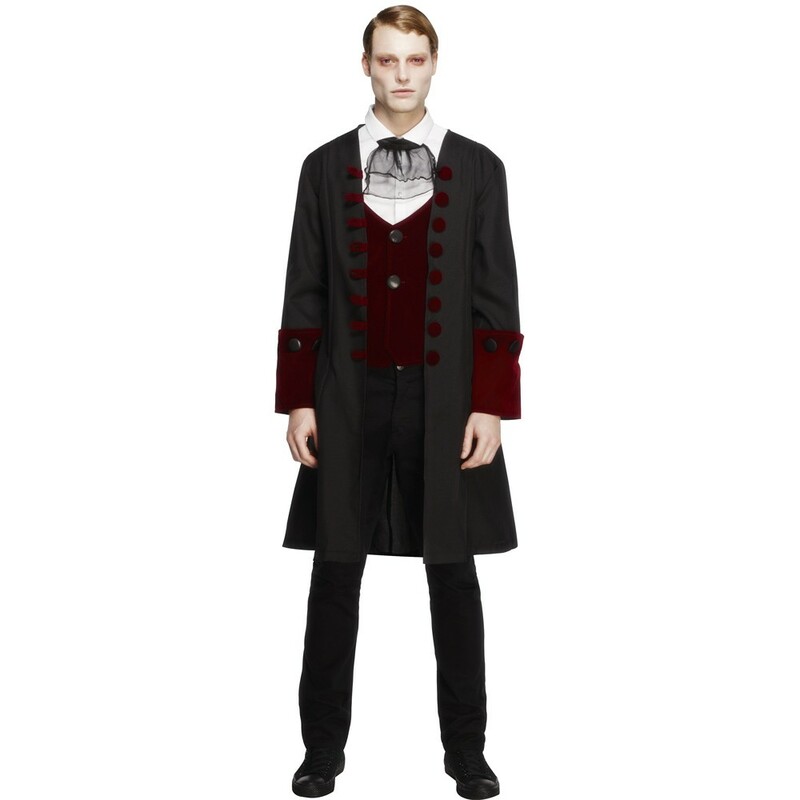 This Mens Fever Gothic Vampire Costume comes complete including a Coat, Top with attached Mock Waistcoat, and Cravat. 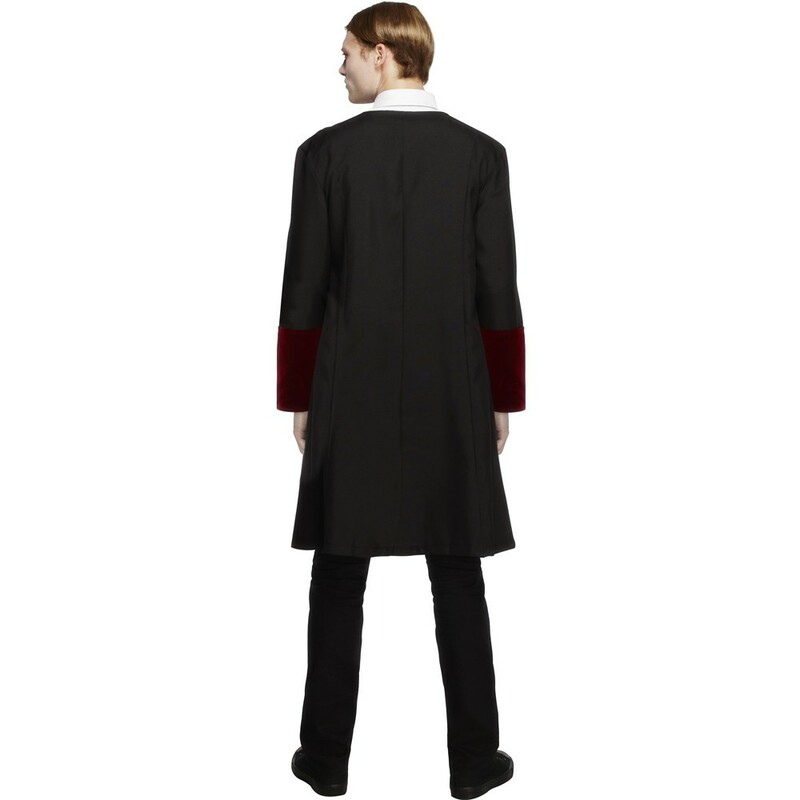 This knee-length grey coat features contrasting burgundy button details, and large sleeve cuffs with a turn-up design and contrast grey buttons. Combined with the white Top with attached Mock Waistcoat and contrast grey button details, and the gauze Cravat, this Mens Fever Gothic Vampire Costume will be sure to have you on the best dressed list this year! Perfect for Halloween, TV & Film, or any fancy dress occasion, this Mens Fever Gothic Vampire Costume will be sure to make you stand out from the crowds, with its modern twist on a classic Halloween look. So get ready to party in true Halloween style with this fantastic Mens Fever Gothic Vampire Costume. Size guidelines: to fit up to a 38-40” Chest, 42-44” Chest. A Mens Fever Gothic Vampire Costume including a Coat, Top with attached Mock Waistcoat, and Cravat.